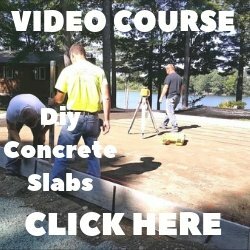 Concrete Driveway Repair - Learn how to repair cracks and scaling. Why does a concrete driveway crack or scale? Concrete driveway repair is needed when you have cracks in the concrete or you have damaged concrete due to spalling, peeling, and pop-outs. Whether you're repairing a new concrete driveway or an old one, knowing how to properly repair the concrete driveway will increase its lifespan and keep the driveway maintenance to a minimum. The first step to repairing a concrete driveway is determining why there are cracks in the driveway or why the surface is peeling or scaling. Knowing what caused the problem will help you choose the best repair method to fix the damaged concrete. 2 reasons why concrete driveways crack. 1. Hairline driveway cracks, 1/8 inch wide or less, are usually non-structural shrinkage cracks. 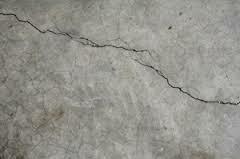 Concrete shrinks when it dries, if there are forces restricting the concrete not allowing it to expand and contract freely a shrinkage crack will appear. 2. Larger cracks in the driveway, 1/4 inch wide or more, are usually because of some type of sub-base movement. Either the soil under the concrete driveway settled causing a crack or the soil heaved from being subject to many freeze & thaw cycles in colder climates, causing the driveway to lift and crack. Repairing a cracked concrete driveway and expecting the repair to last, requires some preparation, planning, and using the right repair material. 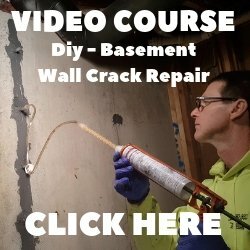 Click on How To Repair Concrete Driveway Cracks to learn the steps required to fix cracks in a driveway. Some reasons why your concrete driveway may be spalling or scaling. If your concrete driveway has areas where the surface is peeling off, this can be caused by many things. 1. Deicing salts used on concrete will melt snow and ice, turning it into water, at very low temperatures. When the ice melts, it is absorbed into the concrete. After the deicing agent wears off, the water refreezes and expands inside the pores of the concrete, causing the surface to peel and spall. 2. Finishing the concrete too early or when bleed water is still present on the surface will weaken the top 1/8 inch of concrete and/or could cause blisters to form in the surface, making it less durable and more likely to have pop-outs later on. Knowing how to resurface a concrete driveway is an important part of concrete driveway repair. Concrete driveway resurfacing also requires the right preparation, planning, technique, and materials to make the repair last for many years. Using a concrete sealer is also a very important step to maintaining the concrete and protecting the surface.